The topic „functional training “has been popular recently. 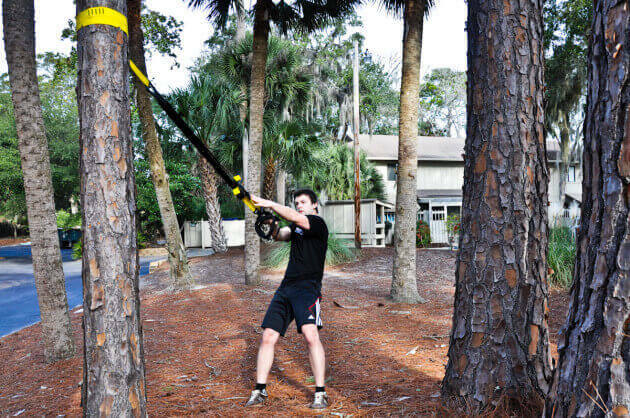 But it does not mean if somebody „hang you” on TRX and you will automatically exercise functional training. What does functional training mean? How many movements do we do when exercising on machines? In comparison with typical gym-exercising on “machines”, in functional training we want to prepare body for movements which we do in everyday life. So that we can push the car etc. And frankly, is your training functional? Two! We either push or pull. Let us get back to the car – when we want to push the car, nobody comes to a car and pushes with hands forward (bench press). We use all the body to move the car. From the toe to the thumb. We have three basic planes of motion. In correctly set functional training, we should exercise all of them. There is no condition to do them at the same time. Anyway, during the training we should not omit any. The most used plane of motion. Movement of upper limbs or legs to the front, back, up and down without the movement of the spine – isolated exercises. In a typical gym, this is a plane where we exercise 90% of machines. Only on a few machines, there is possibility to work out in this plane. The movements typical for frontal plane contain movement of the spine into sides, or leaning of the body to the side. It does not mean to take a dumbbell and lean in front of the mirror. This is the plane which is mostly forgotten. The truth is, it is very often used in everyday life – axial plane. In real life it is a movement by which upper part of the body or legs have to do rotating movement out of its axis. 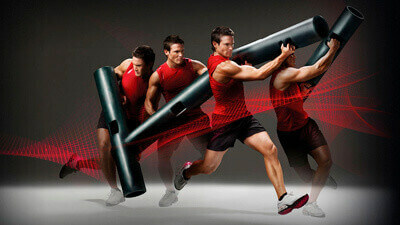 Every functional training should contain 8 basic movements applied into all 3 planes of motion. Below is a list of movements which may serve as basic instructions by functional training system for yourself but also your clients. 1. Squat – pressure exercise concentrated only to legs. 3. Pull – it relates only to the movement of the arms. It contains all the movements which we do when we pull in the direction to the body. 4. Press – again thought as the pressure of the arms. 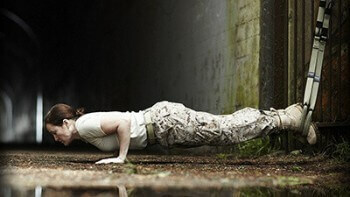 The most often done exercises in the training are the push-up or pressure over the head. 5. Rotate – any rotating movement where upper part of the body or legs rotate. 6. Smash – the condition of the smash is joining all the arms (the movement must come from the arm) and abdominal muscles when doing the movement. As an example we may have a throw in soccer. 7. Carrying – moving of some burden from one place to another. 8. Locomotion – any locomotion movement without burden. From walking, jogging and other various types of crawling. The more movements you join, the more complexly you will exercise your body. So once more, frankly…. Is your training really functional?